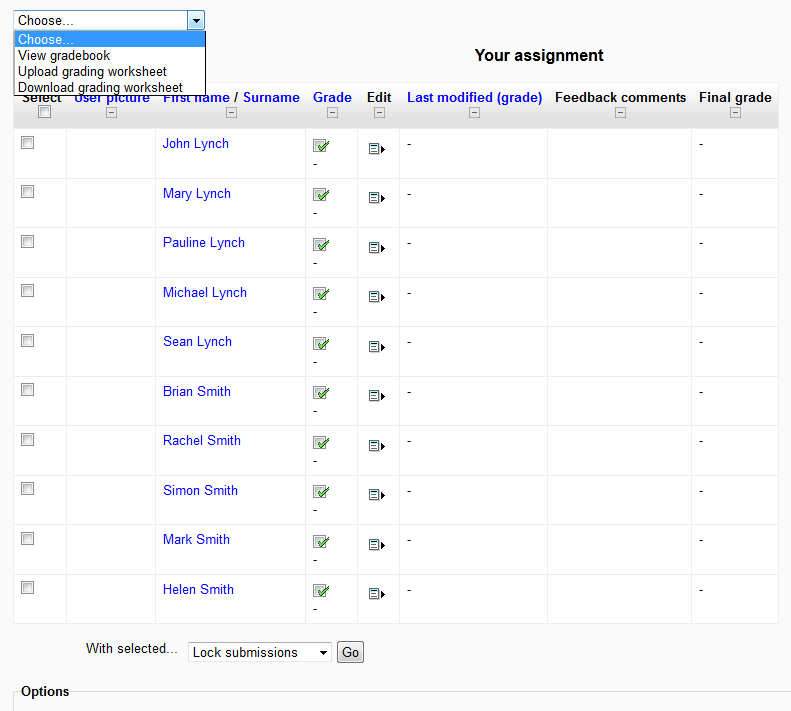 One of the very useful new features in Moodle 2.4 Assignment is the Grading worksheet uploading. I had mentioned in the post about Blind Marking but this post will explain the process more fully. 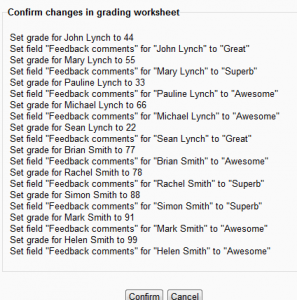 So what is the Grading Worksheet option? 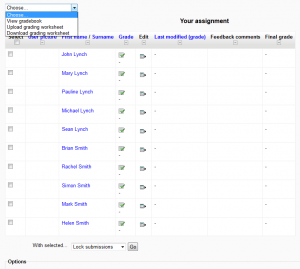 So once you create the assignment, you can then go then go into the view/grade all submissions page to access quick grading or the other options available from the drop down such as Download grading worksheet. 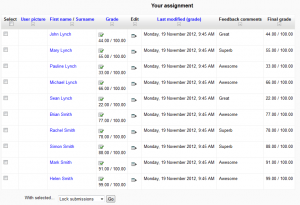 This enables you to add a grade and a comment for each participant. Once you have added them in as below, you can then go through the upload process. 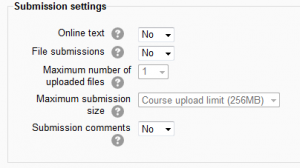 By selecting the Upload Grading worksheet option, you are brough to a standard upload page with one exception. Once you upload the file and submit, you are prompted to confirm the changes as shown below. 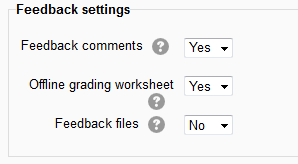 If you want to late change the grades using a worksheet you can download the existing values, change it and upload the new one. It works the same way. 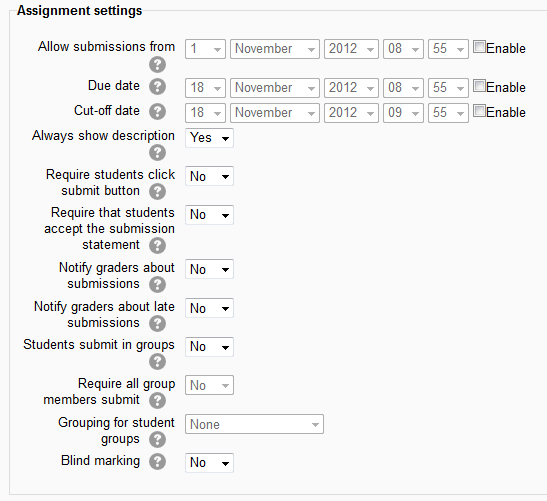 Below it shows the confirm page for when I went back in and set the grades all to 100. 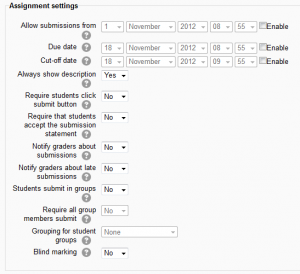 This is going to be a heavily used feature for Moodle Assignment and will save a lot of time for graders. Of course it is not only good for “offline” assignments like a practical, as if you are updating it locally from manually graded papers, this will also be very useful. Thanks for that background. 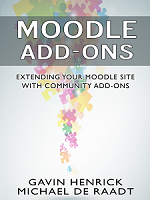 It is a good example of community helping fund important feature updates in Moodle. If only our school district used something like this. 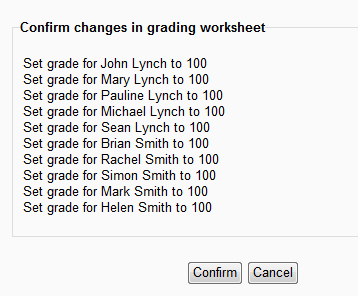 Finally I can fill in grades rather than having to click each one separately. 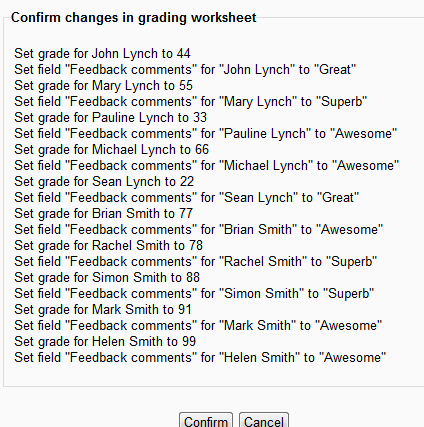 Grading will go so much faster. This could be a very useful tool, if we could get it to work correctly! I am using this process to feed back offline assignment marks to 112 Year 7 pupils. Their mark is graded using the ICT National Curriculum levels (4c-7a) and I want to provide feedback comments and their NC grade for their work. So I can download the CSV file okay, complete it, save it with their NC grades (4C-5B in this case) and upload it to Moodle again. 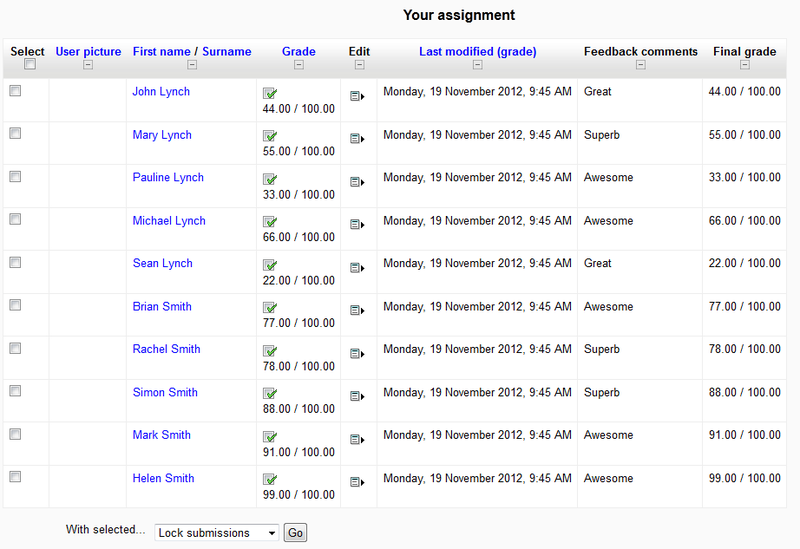 However, when I view the all grades/submissions the only grades added are those at 4A. 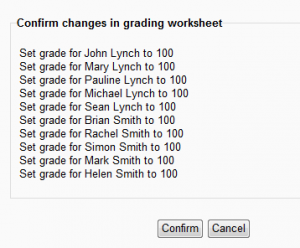 This means I have to manually enter the grades for all other pupils. Can someone please advise what I am doing wrong, or is there a bug?